When your marriage has ended, your first thought may be to throw your wedding and engagement ring off a cliff. Instead, you could trade it in for a new piece of jewelry, and give yourself something that will mark the beginning of your new life. 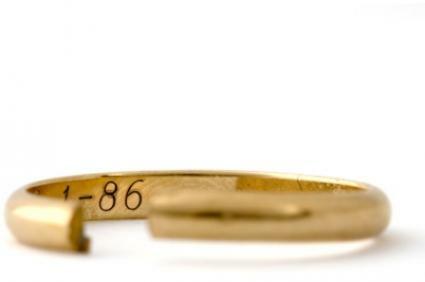 There are many different types of rings designed to symbolize the ending of your marriage. Some have special quotes or symbols on them, and others are broken with a space to symbolize the broken relationship. While many people choose to transform their existing ring into a divorce ring at their local jeweler's shop, some retailers and artists make rings specifically for divorce. Organic Iron Concepts can help you design a ring by upcycling your existing jewelry at a cost of $600 to $1,000 dollars. The featured concept has a cut ring with cross hatching that binds it back together, symbolizing healing after the loss of a marriage. Sossi Jewelry Custom Designs makes a custom ring featuring a cracked, white gold heart with a diamond center stone and black pave diamonds for between $1,000 and $1,500. Breakup Gems has an array of high-quality rings that you can wear to let the world know that you are divorced. 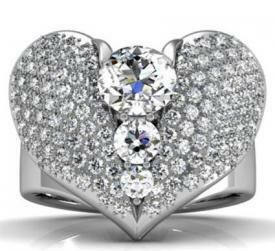 Libertà Divorce Ring is a platinum ring with three diamonds in a broken heart. 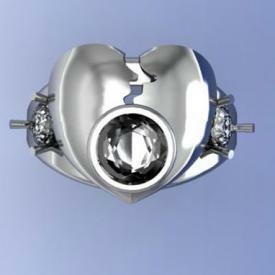 The heart itself is also made from diamonds. The total diamond carat weight is about 2.75, and the ring costs about $20,000. The Freedom Band is a broken wedding ring concept with a styled cutout in the break. The band, which is made from sterling, also has a cubic zirconia solitaire. The cost is around $85. The sterling silver Breakover Band has channel cut, black cubic zirconia in a broken band. The cost is around $300. The Joyful Heart ring is made from sterling silver, crafted into a broken heart being zipped together with cubic zirconia. The cost is about $150. Since divorce rings are still relatively rare, you can wear this on any finger, although many people put it on the ring finger of their left hand to take the place of the marriage band. Getting a ring for a divorce is still not very popular, but as the divorce rates continue to rise and more people start dealing with the anguish of the end of marriage, people might turn to something like this for closure. Whether you are looking for closure, or just want a symbol to signify the start of your new life, the divorce ring might be the way to go.